A box arrived at my doorstep. I had not ordered anything lately but when I saw the return address I knew what it contained. The box jumped when I touched it. It gave out a little moan and then what sounded like a muffled shout. Carefully I took my letter opener and slit the tape. The sounds and rumble that were coming from inside gave me pause. Did I dare open this while alone? I felt the pulse of the flaps on the box as the tape gave way. an explosion of color burst forth from the box! YES! It was the latest fabric shipment from Island Batik! The Fall/Winter 2015 line. Be sure to stop by Beaquilter's blog for the Summer in the Country Blog Hop. I can't tell you how much fun it has been to visit the other Ambassadors and see their beautiful creations. You won't be disappointed. Did you know that September is National Sewing Month? September is a time to celebrate our passion, but we know the creative, therapeutic and calming effects of sewing( and quilting) are joys that we can celebrate throughout the entire year. Yikes! Do you realize it is four months til Christmas? That's 122 days! Have you started working on your Christmas projects? I've pulled out some of my Christmas fabrics for a couple of projects I have in mind. Don't forget to check in on the Island Batik Summer in the Country Blog Hop for some new ideas, recipes and giveaways. When my BFF grabbed a $19 fare, she came down for a couple of days from Buckeye country. What fun to catch up and enjoy spending time together. We enjoyed lunch at a favorite restaurant. Sitting outside and taking in the view of the bay. And you just can't miss an opportunity to visit a quilt shop. This shop had a flood back in January, and it didn't seem like they had replenished much of their fabric stock. It was a little disappointing, but hopefully they will get back on their feet again soon. We did enjoy sharing meals and new recipes. All in all it was a fun couple of days. Now back to Happy Quilting! On our recent travels, it was hard finding any quilt shops. Several that were listed ended up being closed. But I did stop in at Branum's in Augusta Georgia. Under new ownership, the staff was so friendly and helpful. This quilt was on display. A Jelly Roll friendly pattern. One that I think will take on an elegant look using Island Batik fabrics. Be sure to visit Fiber and Feast today as Adele shares about her Summer in the Country design. I've been getting this top ready for quilting. I dug around in my stash and found the blue for the border. All of this fabric was left over from other projects. Doesn't that make it fun? Be sure to stop by the Island Batik Summer in the Country Blog Hop. Today Connie of Kaufman Designs is sharing with us. Here is the whole line up. Do you love home made bread? How about an easy recipe that bakes up crusty on the outside and moist and delicious on the inside? My daughter found this recipe and has made it in several different flavors. I was amazed at how easy this bread makes up. AND no kneading. Here is the LINK for the recipe. I just wanted to share the pictures of how beautifully the bread looks. Try different ingredients. We have had cheese and rosemary, Calamari Olive, and Garlic breads. Each one has been delicious. If you love fresh home made bread, I know you will love this one. Diane Gaudynski's posted on her blog once information about keeping your sewing machine clean. I would think that each brand of sewing machines would have a resource for you to find how to clean your machine. But here are a few to get you started. Do you ever make a pattern that you just love. I mean one that every time you make it, your heart sings. Alison of Cluck, Cluck Sew has a tutorial for this hour glass pattern. It's a real classic. The pattern is easy to follow, and with a variety of colors, you end up with a very different look every time. For years I've been saving scraps and little pieces of left over fabrics. But no more! I decided I needed to purge the scraps. I've saved every little piece, and the pile has finally overwhelmed me. How about you? Do you save left over pieces from your projects? Do you have a plan to use them? Wow! 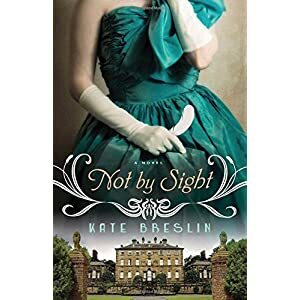 Kate Breslin's book Not By Sight, totally captivated me. From the first page she kept me wanting more. Grace Mabry is a young woman caught up with modern times. 1917, when women were fighting for the right to vote. Grace rallied around her motto "For King, For Country, For Freedom" in an effort to shame those men who she surmised to be cowards, as her own brother fought on the front lines in WW1. When she hands Jack Benningham a white feather at the costume ball, she doesn't realize the high price he will pay. When she meets Jack again, he is blinded and scarred. This story contains danger, spies, deception and finally finding the true meaning of courage. This is the first book I've read by Kate Breslin, but she clearly is a gifted author. 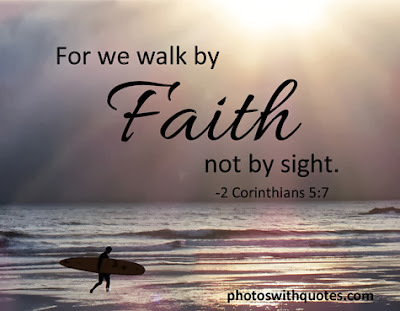 Her word pictures were vivid and brought the characters to life for me. It was like watching the story unfold in a movie. I highly recommend this book to anyone who enjoys historical fiction. This book was sent to me by Bethany House for my review and honest opinion. After asking all of you to share where your favorite quilt shops are located, I thought I would compile a list for you. The next time you are traveling, you will have a handy list to take along. Whew! I tried to list the shops by area, so hopefully that will help if you are looking for a certain part of the country. Hope this list is helpful.